Volvo has introduced automatic versions of its low emissions DRIVe diesel models. The new PowerShift dual-clutch automatic is available on S60, V60, V70 and S80 DRIVe models and returns the same claimed fuel consumption as the manual gearbox versions. That means that the S60 DRIVe Automatic returns a claimed 65.7mpg and emits just 114g/km, making annual VED just £30. The V60, V70 and S80 DRIVe models all return the same claimed figures of 62.8mpg with emissions of just 119g/km, so they too cost just £30 a year to tax. All DRIVe models are powered by the same 1.6-litre diesel engine with 115PS. 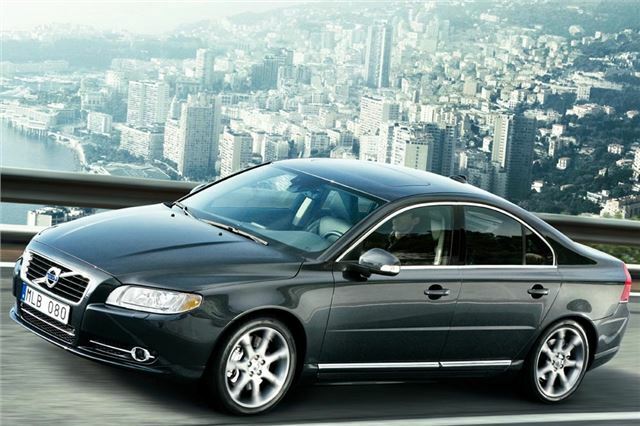 and £26,980 for the S80 DRIVe. The low fuel consumption and emission levels are the result of a number of measures including an engine start/stop system which cuts the diesel engine when the car is still rolling at speeds below 3mph along with changes to the gearbox and engine software. Meanwhile Volvo has also made improvements to its petrol 150PS T3 engine with fuel consumption improving to 49.0mpg in the S60 compared to 42.8mpg previously. The S60 and V60 T3 can also be specified with the PowerShift gearbox and will be available to order in early 2012 with the first cars arriving in April.